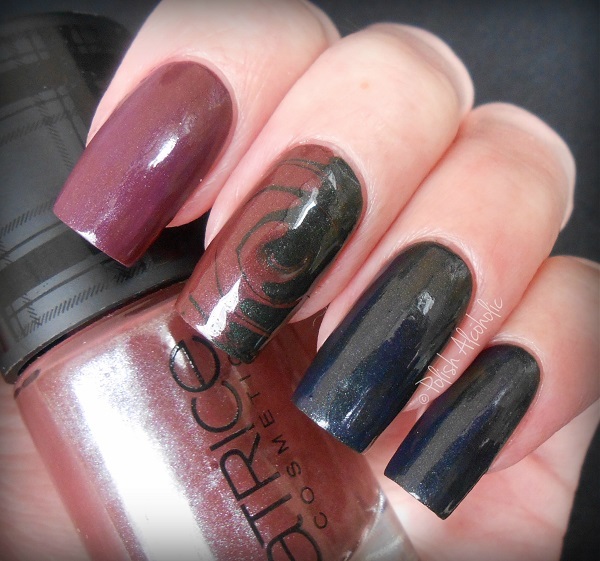 Today I have a mani featuring two polishes of the Check & Tweed Collection by Catrice. I believe this collection was released for Fall last year. My untried pile is getting enormous but I’m doing my best to catch up with new releases. I wish I had a bazillion nails to paint 😀 The brown polish is called Brit Chick and has as Hyde in the Park a perfect formula. 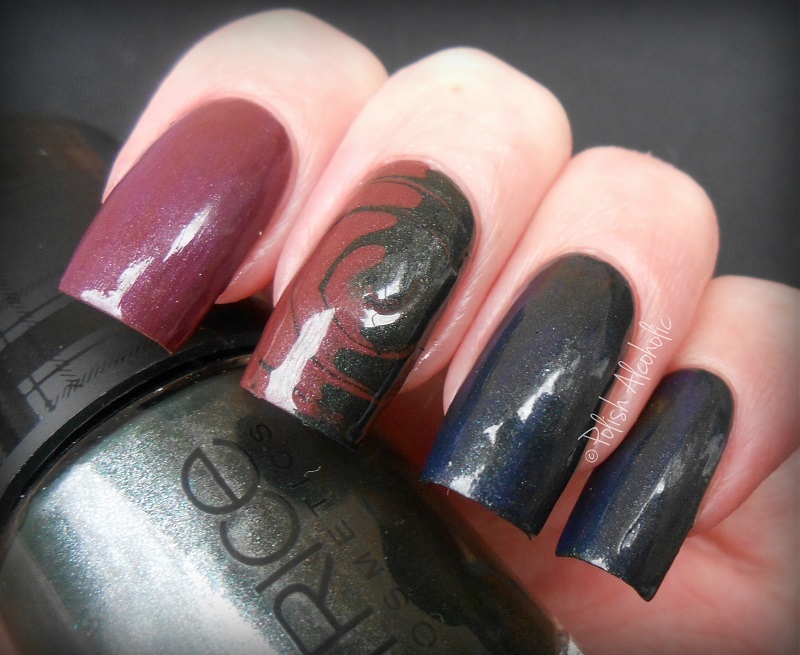 Both have a lovely shimmer running throughout and are opaque in two easy coats. This entry was posted in Catrice and tagged catrice, catrice brit chick, catrice hyde in the park, check & tweed, check and tweed, review, swatches by Polish Alcoholic. Bookmark the permalink. Love this mani, it looks so great! How Fanny a tip coat can change the colour of the polish but the grey looks nice anyway even with the blue appearing ! I’ve noticed that too with some top coats :O. Beautiful swirl on the middle finger though.